Gregory Wathelet riding Conrad de Hus managed a clear round at the Prix du Qatar, despite losing his bridle along the way. It takes a lot of focus and control to keep going when your bridle comes off unexpectedly . 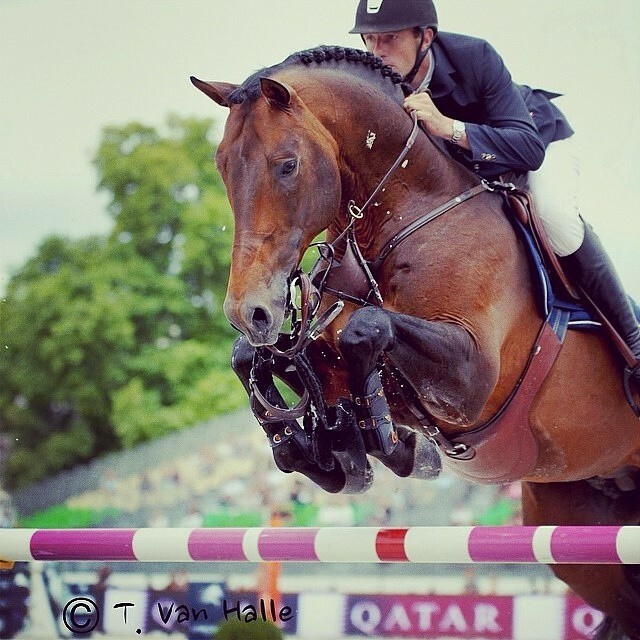 . . but Gregory Wathelet (BEL) and his mount Conrad de Hus still managed a clear round at the Prix du Qatar. How many horses do you know that would keep going with the bridle and ear bonnet flapping around its nose, especially over fences like that? Wow. That horse was incredible. I think my horse would keep the bit, but NOT with the ear bonnet flapping like that! Wow. I mean, it’s great. In theory, you should be riding “bridleless” all the time… but how many people actually could? What a good horse too. Clearly a horse who likes his job! That is amazing!!! Great riding and horse!